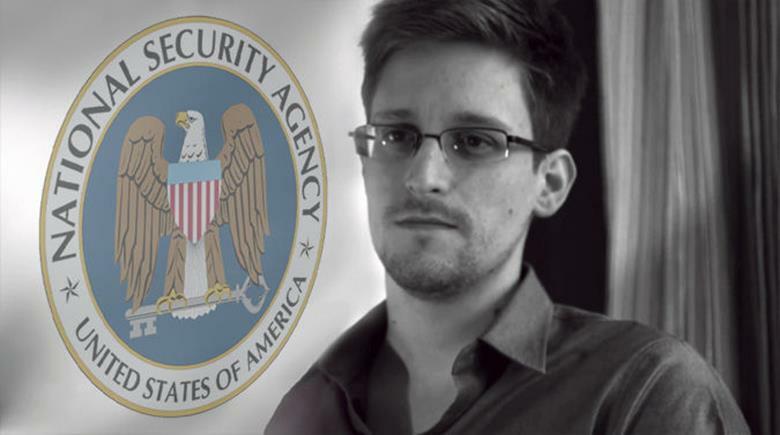 The former contractor for NSA, Edward Snowden, became famous for revealing PRISM, a confidential mass surveillance program run by the U.S. agencies to eavesdrop on any electronic media. The whole world realized that Big Brother is real and, yes, he is watching you. It is not a fiction any longer. So what is XKeyscore, exactly? 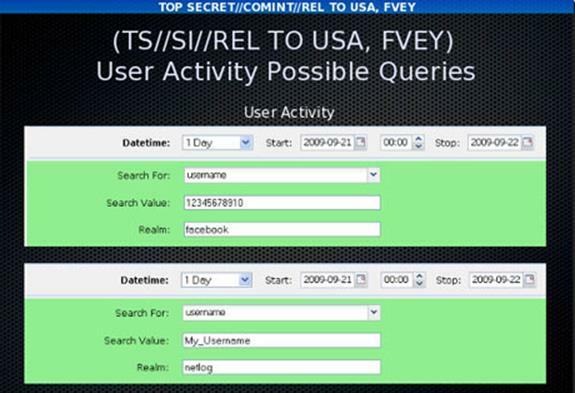 It’s a tool that can scour all things from the Internet for surveillance purposes. 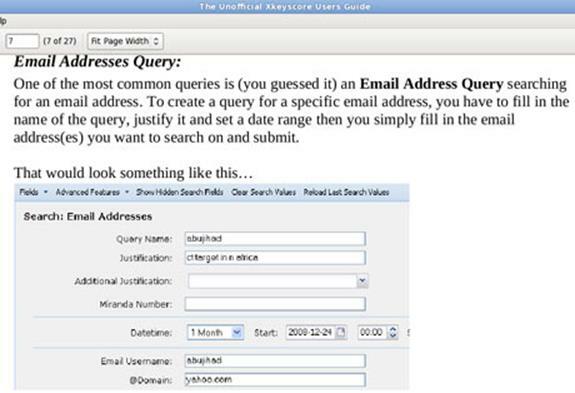 The purpose of XKeyscore is to allow analysts to search the metadata as well as the contents of email and other Internet activity, such as browser history. Analysts can also search by name, telephone number, IP address, keywords, and the language in which the Internet activity was conducted or the type of browser used. 2. Performs strong (e.g., email) and soft (e.g., content) selection. In an interview in June, Edward Snowden elaborated on his statement about being able to read any individual’s email if he had their email address. He said the claim was based in part on the email search capabilities of XKeyscore, which Snowden says he was authorized to use while working as a Booz Allen contractor for the NSA. One of the top-secret documents describe how the program searches within the “bodies of emails, web pages and documents,” including the “To, From, CC, BCC lines” and “Contact-Us” pages on websites. 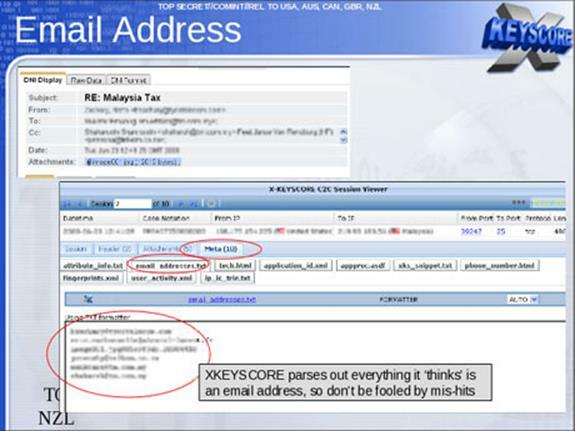 Beyond emails, the XKeyscore system allows analysts to monitor a virtually unlimited array of other Internet activities, including those within social media. 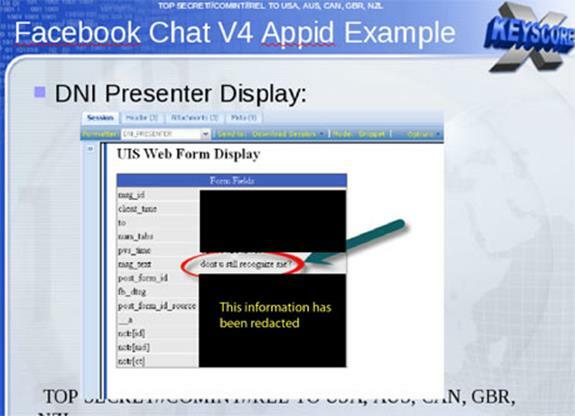 The DNI presenter enables an analyst using this tool to read the content of Facebook chats or private messages. 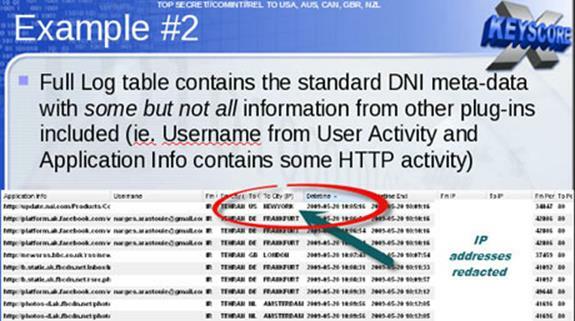 Performs full-take, allowing analysts to find targets that were previously unknown by mining metadata. The program’s existence was most publicly revealed in July 2013 by Edward Snowden in The Sydney Morning Herald and O Globo newspapers. “I, sitting at my desk, (can) wiretap anyone, from you or your accountant, to a federal judge or even the president, if I had a personal email address.” The Guardian (June 10). 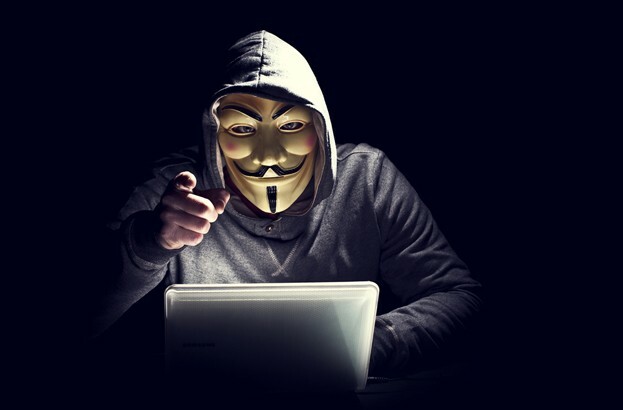 The FISA Amendments Act (2008) requires a warrant for targeting U.S. individuals, but NSA analysts are permitted to intercept the communications of such individuals without a warrant if they are in contact with one of the NSA’s foreign targets. The ACLU’s deputy legal director, Jameel Jaffer, told The Guardian that national security officials expressly said that a primary purpose of the new law was to enable them to collect large amounts of communications by Americans without individual warrants. 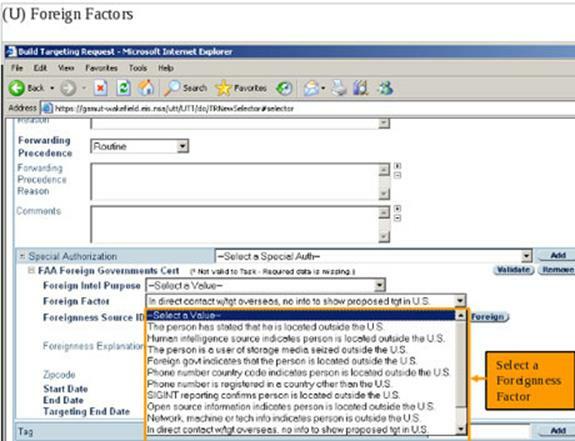 The following example is provided by one XKeyscore document showing a NSA target in Tehran communicating with people in Frankfurt, Amsterdam, and New York. 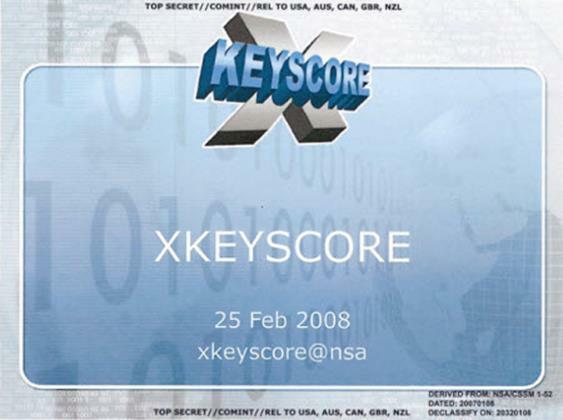 According to The Washington Post and Marc Ambinder, editor of The Week,XKeyscore is a data retrieval system that consists of a series of interfaces, backend databases, software, and servers that select certain type of metadata that NSA has already collected, using other methods from wide range of different sources. F6, which is the SCS or special collection service, operating from a U.S embassy or consulate overseas. FORNSAT, which means “foreign satellite collection,” refers to intercepts from satellites that process data used by other countries. The special source operations, or the SSO, is a branch of NSA that taps cables, finds microwave paths, and otherwise collects data not generated by F6 or foreign satellites. Fingerprints from TAO (tailored access operations) are loaded into XKeyscore’s application/fingerprinted engine. Data is tagged and databased. Complex Boolean tasking and regular expression required. 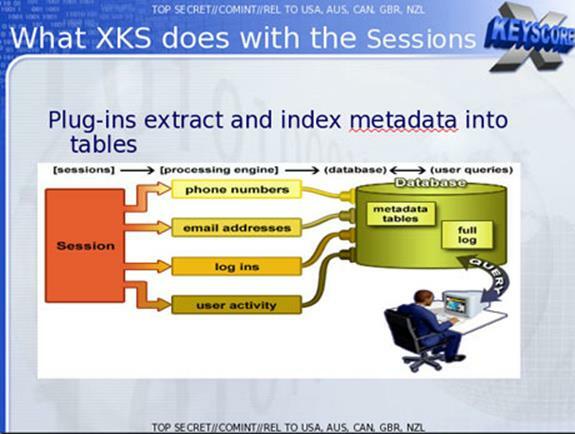 The slides explain how XKeyscore can track encrypted virtual private networks (VPN) sessions and their participants, can capture metadata on who’s using PGP (pretty good privacy) in email or who is encrypting their Word documents, which later can be decrypted. It keeps all trapped Internet traffic for three days, but the metadata is kept for up to 30 days. This one-month duration allows the authorities the time to trace the identity of those who created the documents. Further capabilities include Google Maps and web searches. It also has the ability to track the authorship and source of a particular document. It works with the help of over 700 servers based in U.S. and allied military and other facilities as well as U.S. embassies and consulates in several dozen countries. How much data is being collected? 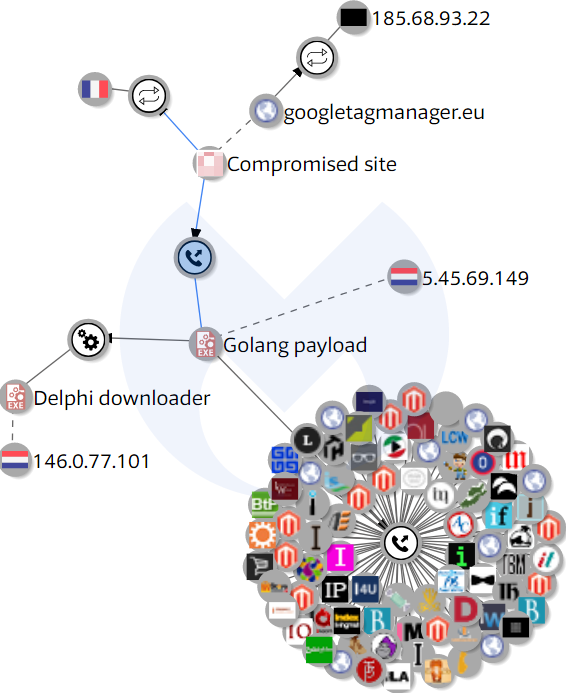 The quantity of communications accessible through programs such as Xkeyscore is staggeringly large. One NSA report from 2007 estimated that there were 850 billion “call events” collected and stored in the NSA database and close to 150 billion Internet records. Each day, the document says, 1 – 2 billion records were added. 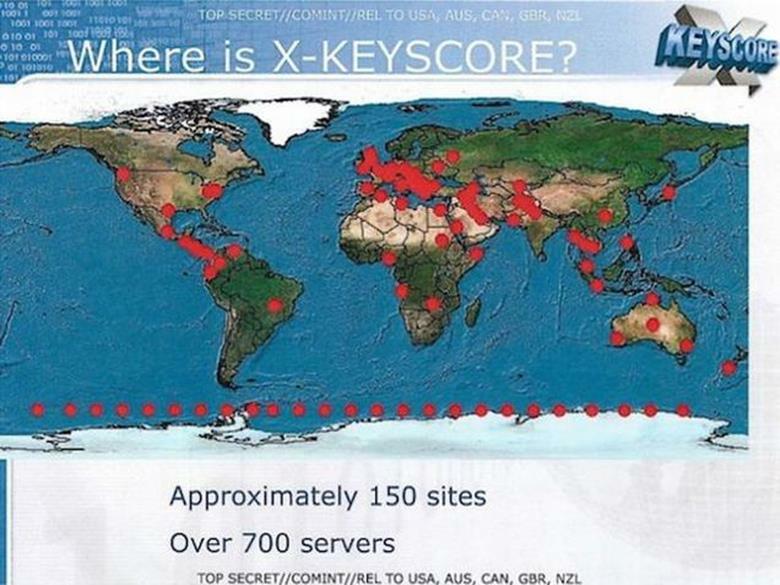 The XKeyscore system is collecting a vast amount of Internet data that can be stored only for short periods of time. Content remains on the system for three to five days. The metadata on the other hand is stored for 30 days. In 2012, there were at least 41 billion records collected and stored in XKeyscore for a single 30 days of duration. In a statement to The Guardian, the NSA said: “NSA’s activities are focused and specifically deployed against—and only against—legitimate foreign intelligence targets in response to requirements that our leaders need for information necessary to protect our nation and its interests. 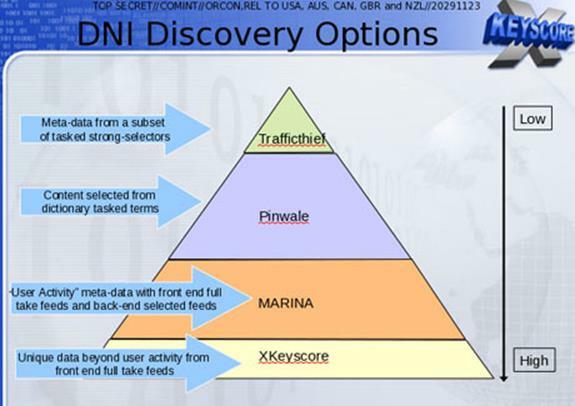 “XKeyscore is used as a part of NSA’s lawful foreign signals intelligence collection system. Many more aspects of the XKeyscore are not revealed in depth, such as with which countries the U.S. shares information, how the program contends with encrypted contents, the evolving of the program in recent years. Despite all this, the government claims some real benefits, such as 300 terrorists captured by 2008. 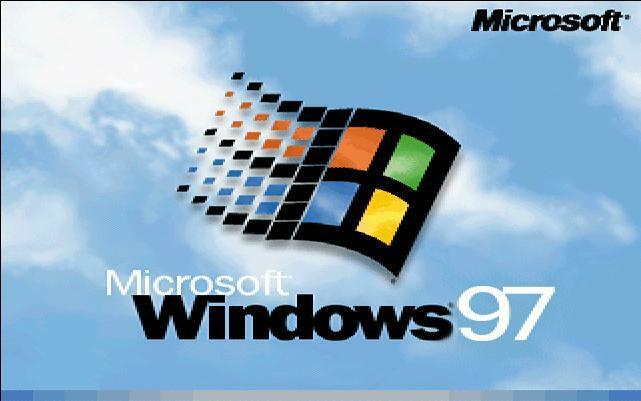 Feds still use DOS and Windows 97! !